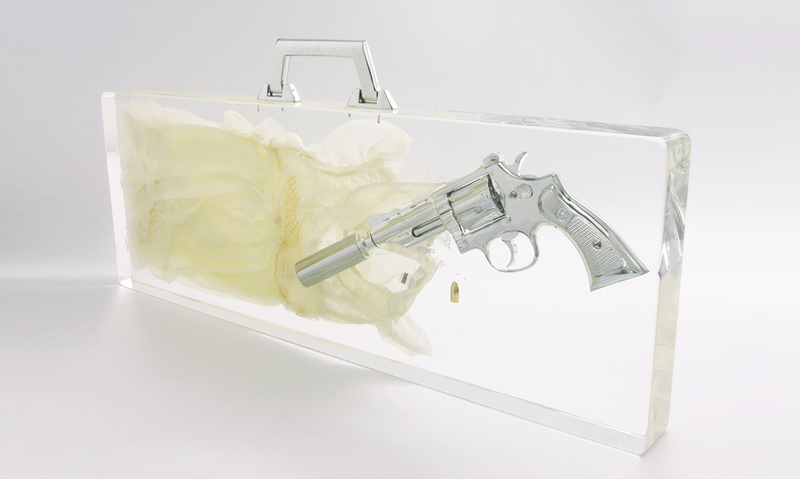 A briefcase containing a silver-plated pistol with a silencer, a bullet, a pearl, a diamond, a gold-plated bullet and a child’s tulle dress. This set of objects, in combination with the title of the work, leaves little to the imagination – although this could be a case of planted evidence. 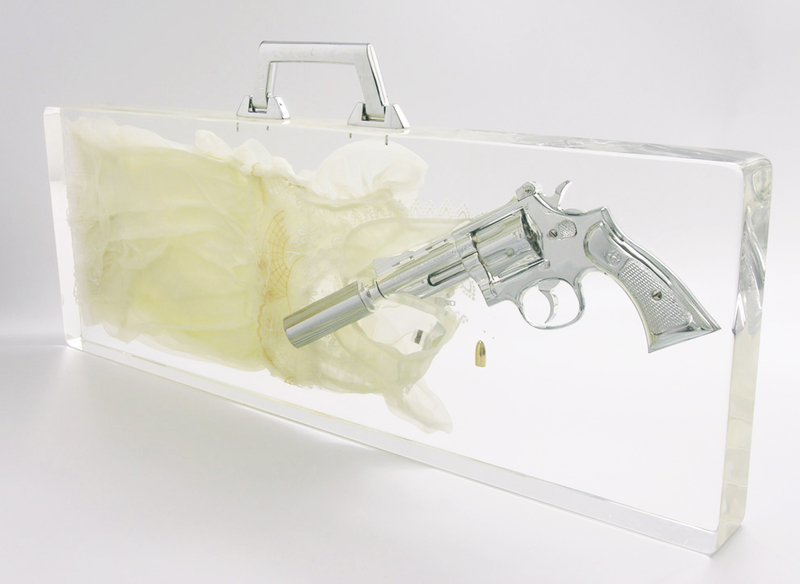 By conspicuously aiming the pistol at the dress, Noten constructs a story, as if objects found at the crime scene during a police investigation had been rearranged many times on his workbench until the connections finally became clear.